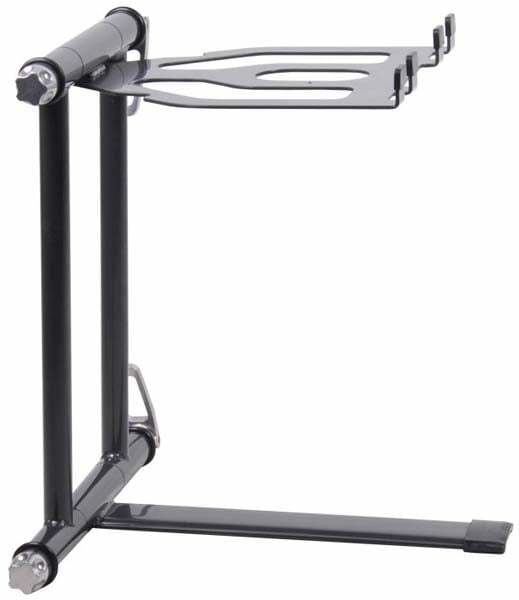 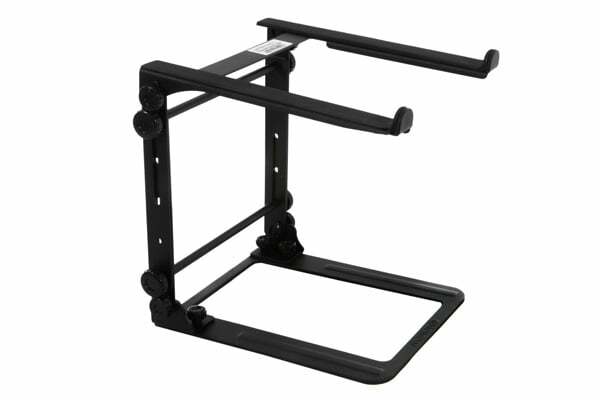 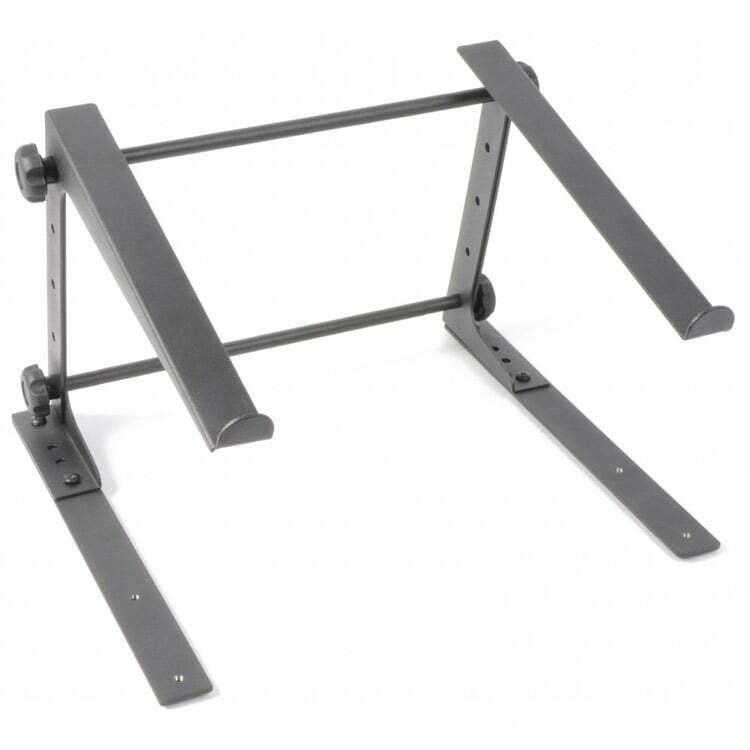 DJ City has a huge range of DJ Laptop Stands, the most popular accessory for a digital DJ. 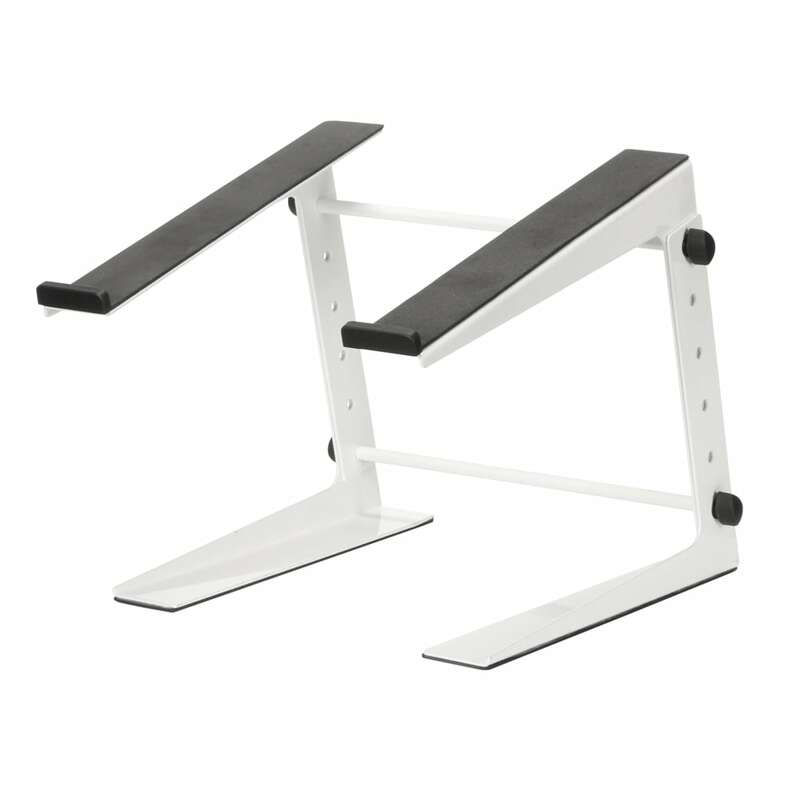 Choose from a large variety of sizes and colours at the best prices. 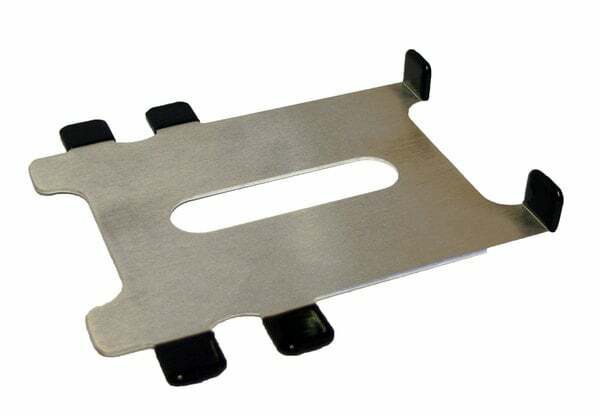 While you’re DJing, you need a place for your laptop to sit, but you want to be confident that it is safe and secure. 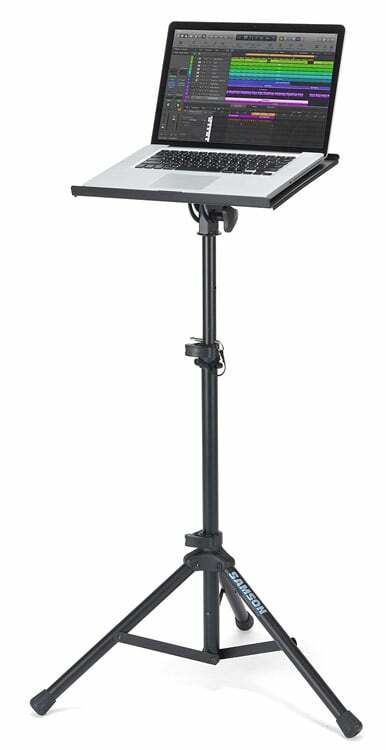 We offer a range of sturdy, robust stands which don’t take up much space and allow room for your other DJ Equipment including mixers and CD Players. 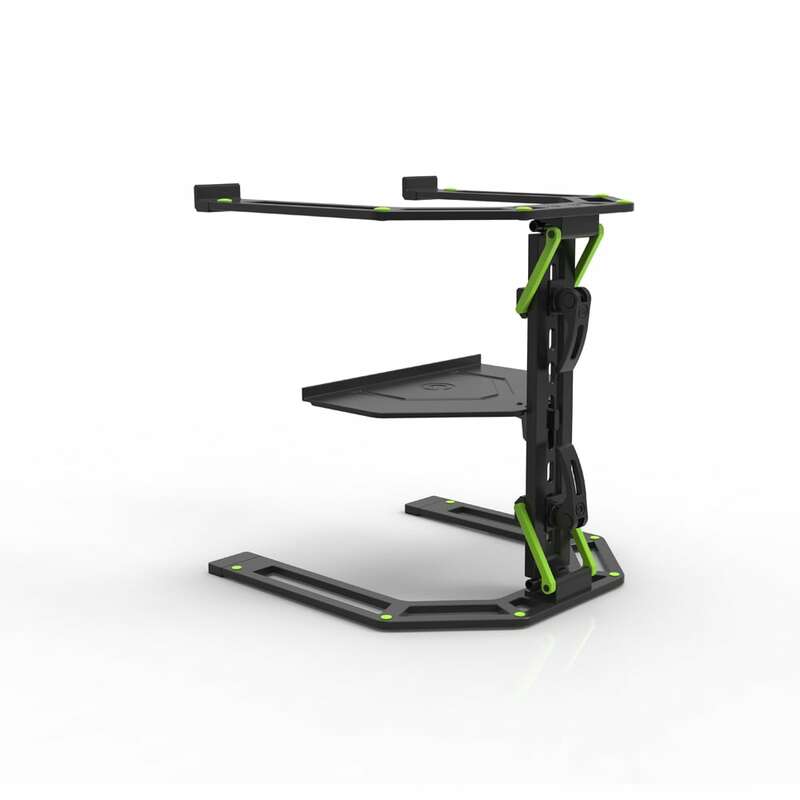 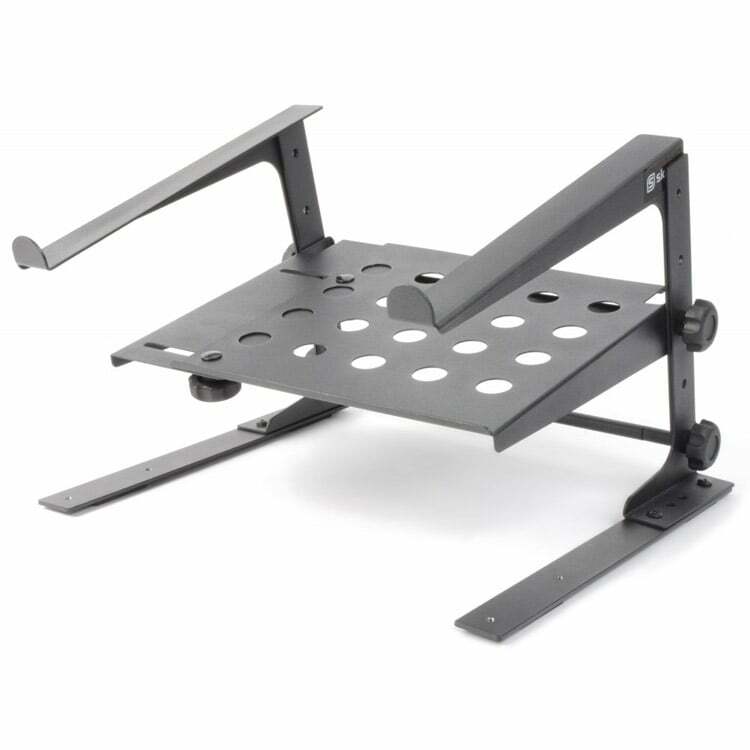 Maybe you’re after a laptop stand that will also elevate your DJ Controller, we have that too! 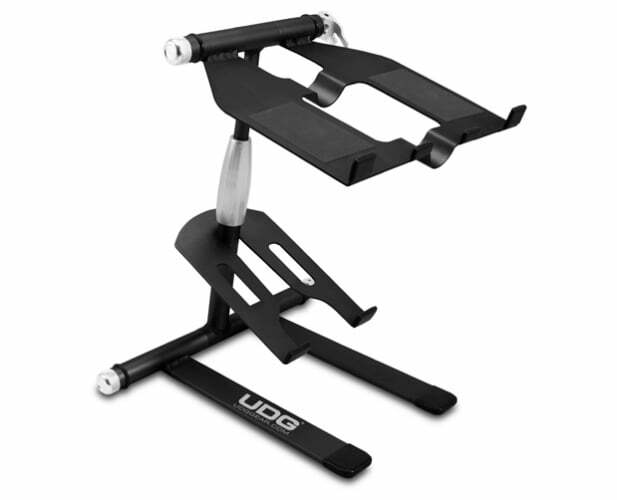 Some stands are also supplied with a carry pouch for extra convenience if you are a mobile or travelling DJ. 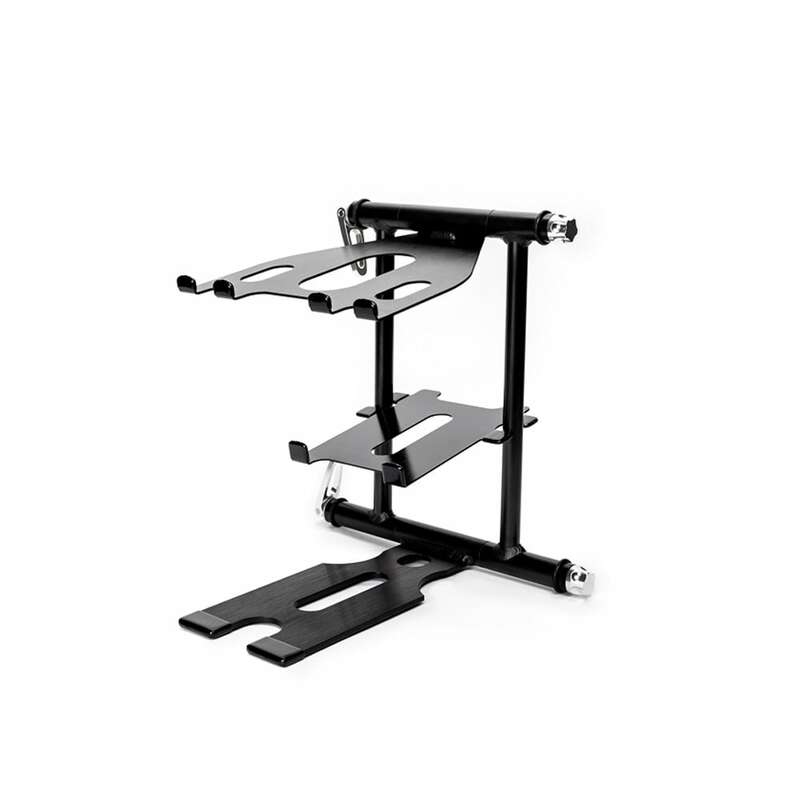 These laptop stands are fantastic for DJ use, but also for your home studio. 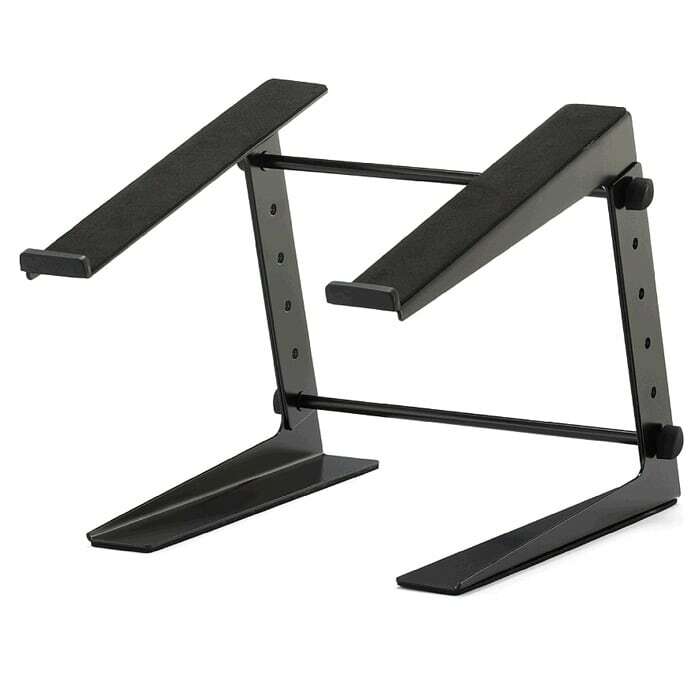 With a modern and durable design, you can use these laptop stands virtually anywhere – whether you’re out and about or practising at home. 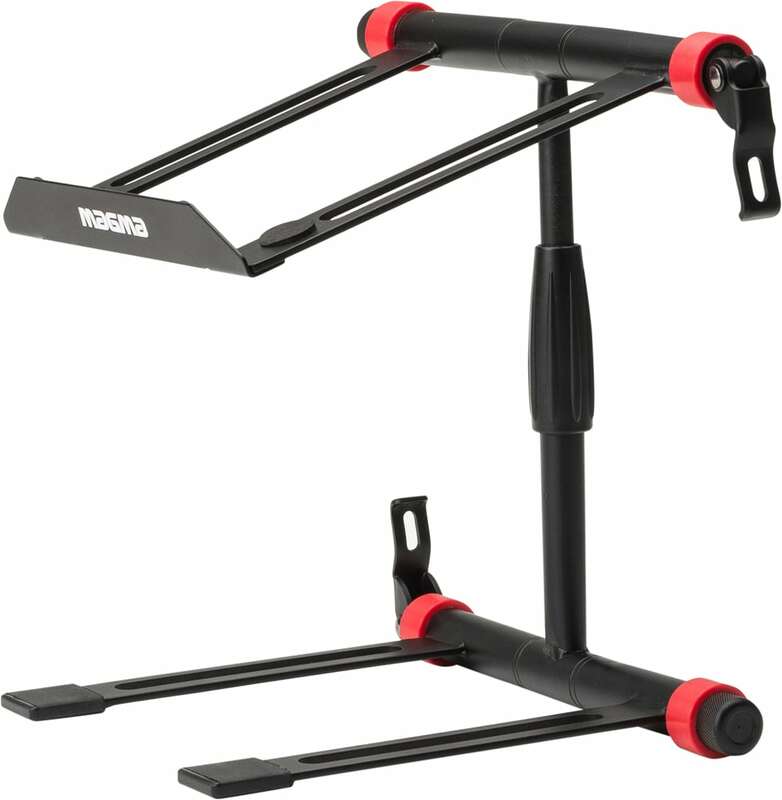 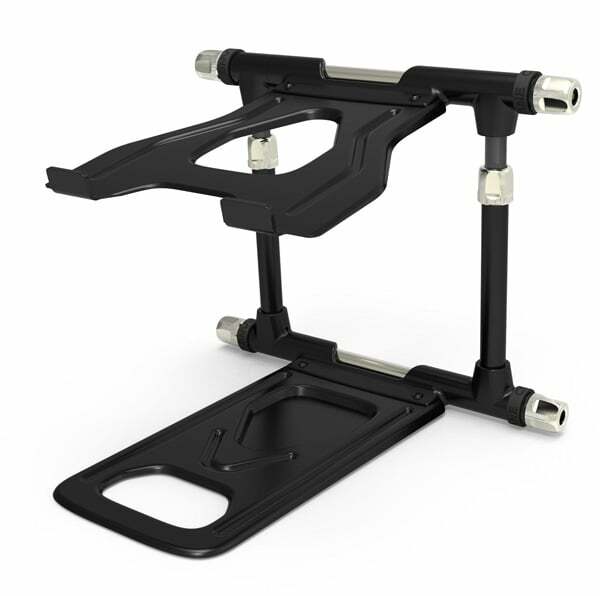 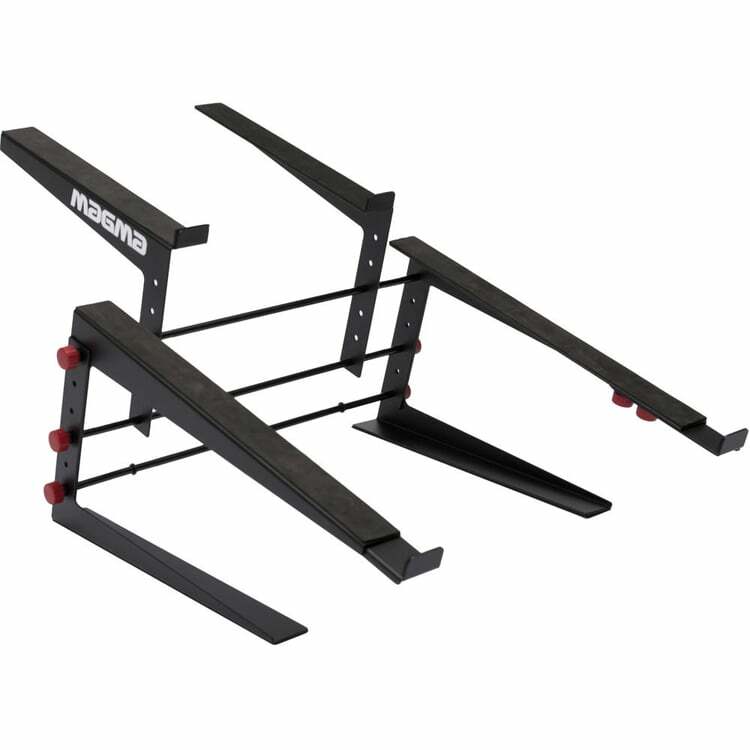 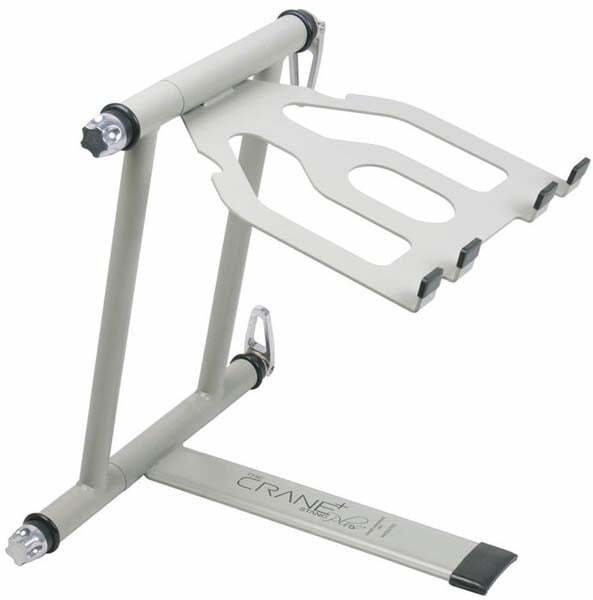 Get a fantastic deal on a portable laptop stand or laptop riser.